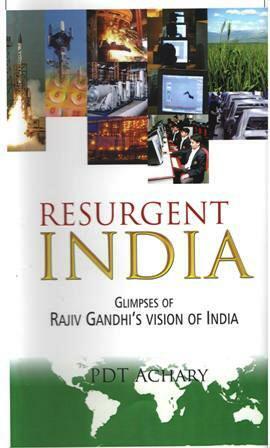 This book is for all purposes an attempt to claim a part of the leader that Rajiv Gandhi was. At once endearing, believable and assuring, there was an element of enigma as well, as the man who was considered to be a political novice turned all conventional logic on its head and moved from one bold decision to another once he took charge. The deeply disturbing and unexpected assassination of his mother, the late Prime Minister Indira Gandhi, had overnight turned Rajiv Gandhi from being the outsider-unprepared and reluctant-into the leader who a grieving nation would be looking to for comfort and direction. In the nation`s moment of grief, Rajiv Gandhi the leader was born. His emergence on the Indian political scene as an unassuming entrant unsullied by `political experience` had a unique charm about it. His lack of experience was perhaps what encouraged him to approach the most challenging and confounding political crises with a clear mind. The solution was always near at hand, whichever way the drama unfolded and whoever the other dramatis personae. After assuming the office of Prime Minister at the end of an epochal election, Rajiv Gandhi took major political initiatives to find solutions to the vexed problems of Punjab terrorism, Assam agitation, the Sri Lankan crisis, etc., and the result was the various accords. These accords bear testimony to the incisive mind and bold approach of Rajiv Gandhi. He created a new mood in the jaded politics of the country. He compelled people to think of the next century, its challenges and possibilities. He was in a hurry to catch up with the rest of the world in scientific and economic advancement. He initiated the liberalization of the economy so that India could reach a higher stage of development. 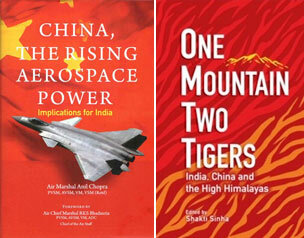 He brought a new dynamism into India`s foreign-policy orientations. This book combines an insider`s account of those eventful years and a compelling analysis of the changing contours of Indian democracy. Above all, it is an endeavour to discover the true significance of the many-sided contributions of Rajiv Gandhi in different areas of national life. It will be a tragedy if these contributions get lost in the pages of history. For here was a man, a leader, a role model who dazzled briefly but dazzled still on the national firmament and left the stage a hero for all times to come. PDT Achary : P D T Achary is a former Secretary General of Lok Sabha. He spent forty years in the service of parliament. Shri Achary is considered as a constitutional and parliamentary expert. He has contributed greatly towards the strengthing the instrumentalities of parliament. He was born in a village called Kadammanitta in the Pathanamthitta district of Kerala on 20th August 1945. 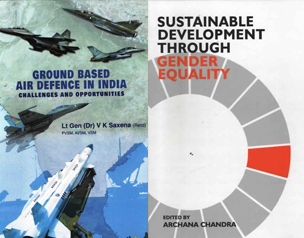 An M.A., L.L.B, Shri Achary authored two books, viz, Law of Elections and the Office of Profit. `Office of Profit` is perhaps the only authentic work available on this subject. He also published a book containing the landmark rulings of the Speakers and edited the renowned parliamentary treatise ``Practice and Procedure of Parliament`` by Kaul & Shakdher. He has written a large number of articles in the newspapers on constitutional, parliamentary and political issues.He is widely travelled and was an active participant in the international conference of Clarks of Common Wealth Parliaments as well as the Inter Parliamentary Union. Shri Achary retired from service on 30th September 2010. He lives in Faridabad, Haryana with his wife and three sons.